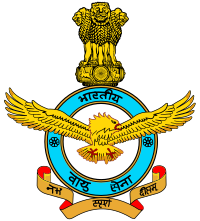 Indian Air Force - IAF published an official notification for Recruitment of Officers in Flying & Ground Duty for 106 posts. Eligible candidates can apply for this recruitment. You can view more details about this recruitment including No. of posts, name of post, Educational qualification, Age limit, Selection process, How to apply etc... You can also view official notification and other important facts about this recruitment e.g. Important links and Important dates. Flying Branch through AFCAT and NCC Special Entry: 20 to 24 years as on 01 Jan 2020 i.e. born between 02 January 1996 to 01 January 2000 (both dates inclusive).Upper age limit for candidates holding valid and current Commercial Pilot License issued by DGCA (India) is relaxable upto 26 years i.e. born between 02 January 1994 to 01 January 2000 (both dates inclusive). Ground Duty (Technical & Non-Technical) Branch: 20 to 26 years as on 01 Jan 2020 i.e. born between 02 January 1994 to 01 January 2000 (both dates inclusive).